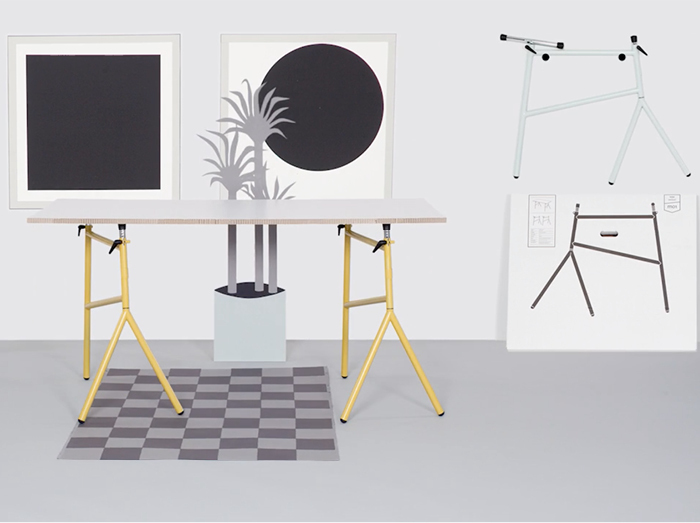 There are many table stands, the Thonet m01 being one of the few that is height-adjustable. But even in form this furniture is fun, because in an ironic way it quotes the concept of a classic bicycle frame with handle and saddle bars. Just like for a bike, both can simply be pulled out and adjusted to the desired height with a quick-release lever. A beautiful, consistently implemented idea that despite its figurative impression is extremely functional, last but not least because of its fork which is foldable for comfortable flat pack transportation. Have a look here for the video.